Seems like everyone is trying to steal Reese’s thunder these days. 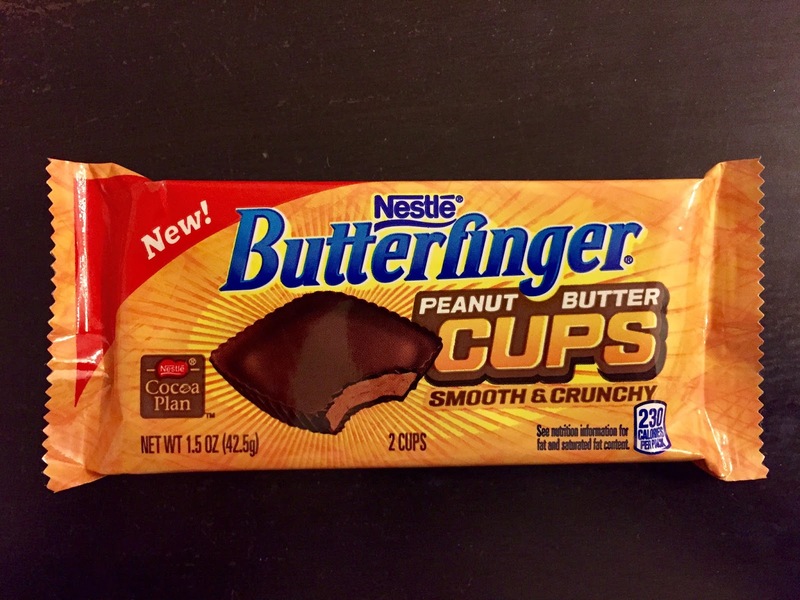 First Snickers puts out a pumpkin and now Butterfinger is doing a cup. I guess you know you’re number one when they’re all gunning for you. I already covered the Snickers. 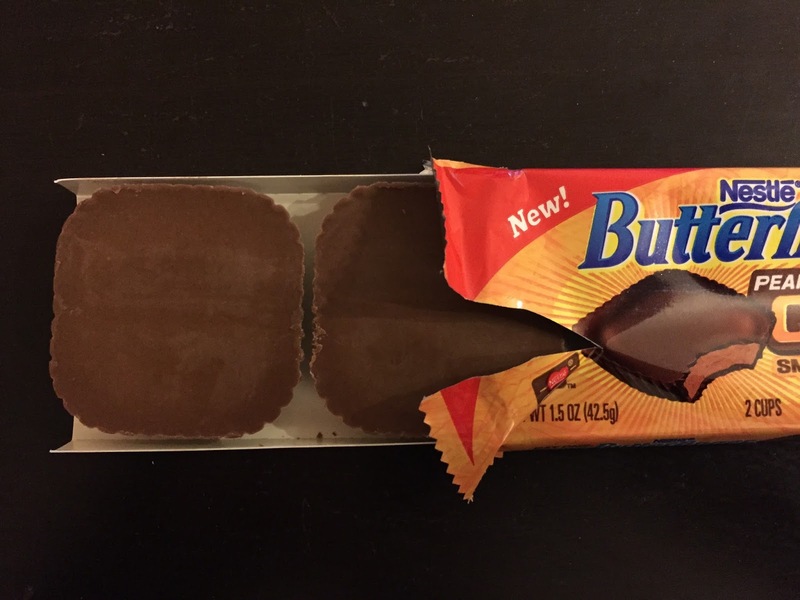 Now let’s take a look at the Butterfinger Peanut Butter Cup. 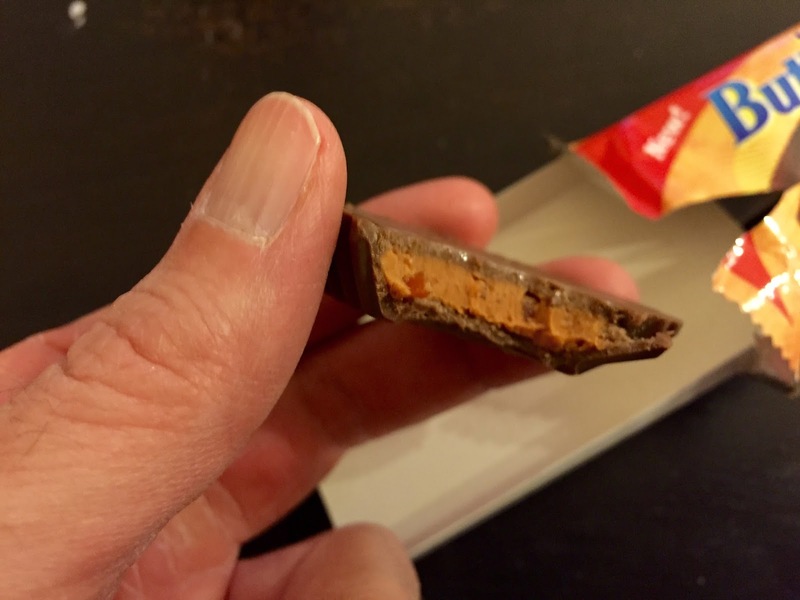 First of all, it’s not so much a peanut butter cup as it is a oddly shaped Butterfinger candy bar. I mean, it tastes the same a regular Butterfinger, just skinnier (so there’s a higher chocolate to filling ratio) and much less crunch. 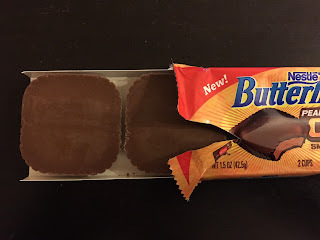 Honestly, the most satisfying thing about the Butterfinger candy bar is the snap when you bite in. I can’t understand why they’d want to sacrifice that just to change the shape. But they did. What you get is almost creamy. The Butterfinger Peanut Butter Cup isn’t terrible but it also isn’t a Butterfinger or a Peanut Butter Cup. If you want either one of those things then you’re out of luck. Spend your hard-earned junk food dollar elsewhere.